The Swedish motor magazine Teknikens Varld has taken on the might of VW to prove that emissions fix causes negative effects on fuel consumption and power. This is contrary to claims by Volkswagen that the fix does not affect vehicle performance or fuel efficiency in any way. They tested 10 VW vehicles both before and after the emissions fix recording MPG, Power and Torque on a rolling road. Their exhaustive testing shows that in most cases vehicles responded negatively to the fix, resulting in a reduction in power of around 10% whilst reducing fuel efficiency by up to 4%. The results are somewhat different. Some cars have gained power and have a higher fuel consumption, but most cars have lost performance. Both torque and power have decreased after Volkswagen’s fix. The loss is as much as ten percent and in addition to that the torque curve has shifted. This means having to push down harder before the acceleration sets in – which makes the car feel weaker. 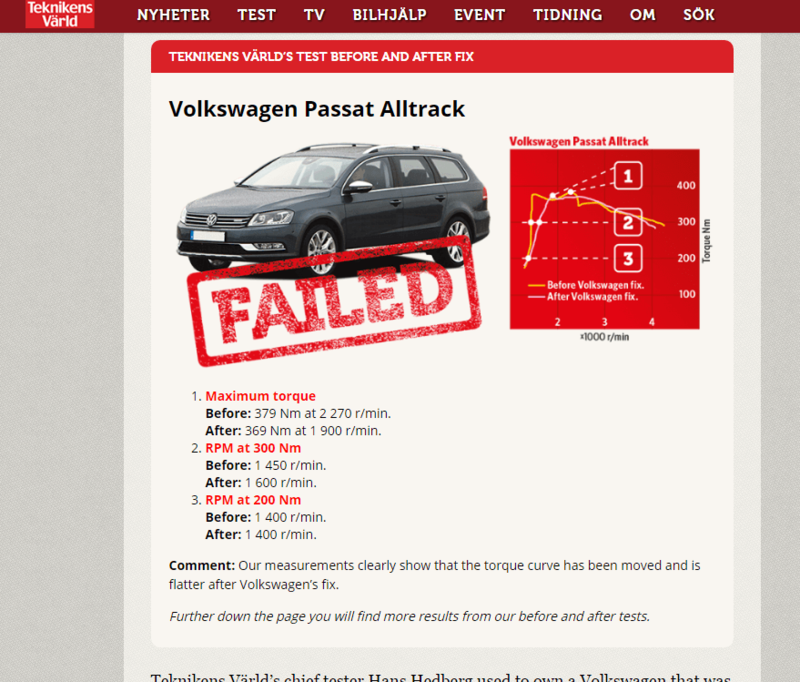 On top of this the tests often show an increase in fuel consumption after the Volkswagen fix. In effect the owner is not handed back the same car as before the recall. It is cleaner, but often both weaker and thirstier. When a car loses as much as ten percent of its torque it is noticeable in everyday driving, not just on a racetrack or in a lab. It is noticeable in overtaking and towing heavy trailers. Interestingly, their tests showed that some 1.6 litre diesel models responded positively to the emissions fix. The fix for the smaller 1.6L engines differs to that of the 2.0L models. It requires the fitting of an “air straightener” to change the airflow against the MAF. 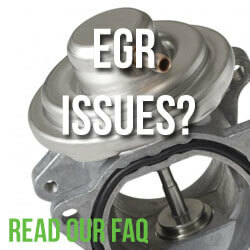 This could well explain why our survey shows 1.6L engines having fewer reported issues than 2 litre models. Marcus’s comments run the same line as all the other responses we have seen from VW to date, although we’re interested to hear details from he “several independent” tests which are able to further substantiate their false claims. As yet we have seen no evidence from the KBA or these other “independent” tests which are at the heart of VW’s argument. To be honest, we don’t think we ever will. Why aren’t the UK Government testing the fix? Despite the public outcry concerning the affects of the UK emissions fix, our spineless officials in Westminster are still dragging their heels. We were encouraged by their strong lines of questioning to Paul Willis (VW Group MD) however this has resulted in very little movement from either side. While the UK government stands back with their fingers lodged firmly in their orifices, it’s VW’s loyal customers that are being let down and made to suffer at the hands of VW’s criminal practices. We can old hope that the increased media attention on issues post fix help coax Government officials into further action. This certainly wasn’t the case over in the US where VW were made to pay for their dishonest practices. We have to admit, were thinking the same thing! Teknikens Varld have been around since 1948 and well known for their testing back in 1997 which resulted in a Mercedes-Benz A-Class flipping on it’s lid during the mighty moose test. More recently they uncovered the new Toyota Hilux 2016 failing the same test. We know you want to see what happens when the moose test takes a victim. The results are in the video below. Enjoy! 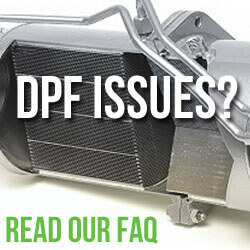 Have you had the emissions fix applied to your vehicle? Have you experienced similar issues as exposed by Teknikens Varld? Was the fix applied without your consent? Let us know in the comments. Please give details of the dealership if you can. Volkswagen diesel customer forum crowd funds VW van to help spread the word over dieselgate "fix"
I recently had the EA 189 NOx emissions work completed on my 12 plate A3 1.6 TDI and they have ruined my car. I used to get on average 65-68mpg on my daily run to work, driving at a steady 65-70 mph, more on longer journeys. Now, driving locally, I’m getting 19-25 mpg and my daily run to work delivers 42-46mpg. The attitude from the Audi Dealership at North Wales Audi LL31 9AY who performed the work, has been appalling; suggesting the “cheap oil” garages other than Audi use is a factor or the way the car is being driven. My car has run fantastically well until Audi got their hands on it. I’m so upset about the whole thing and wished I’d never taken it in to be done; I only did so as I believed the recall was mandatory. any suggestions about where I go from here would be very helpful. Thanks. I have 2 2015 Golf TDI Sportwagens! I am located in South Florida. One TDI is still intact and has amazing power and gets over 50 MPG on the highway. The other TDI had the fix and it now has much less power and it’s only getting aprox 34 MPG. This is unacceptable and unsafe when passing other cars and trucks. Since this is the case I feel that I should be allowed to have my car put back to the old factory standards! Will Volkswagen take responsability for my death if I get killed trying to pass another car or truck? I really feel that the fix for my one car is not good enough to have to live with! 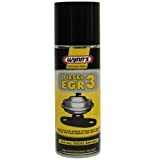 Is there any fair recourse for me and my Sportwagen TDI? Anyone please respond!